No matter the size of the screen protector, we want our customers to have everything they need to have a successful installation experience. 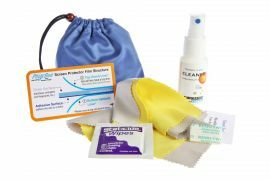 Photodon installation kits contain all the supplies necessary to produce a successful and professional-looking film installation. 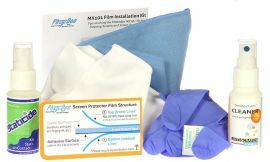 The high quality cleaning solution and microfiber cloths will be useful for keeping your electronic devices clean, well after installation. 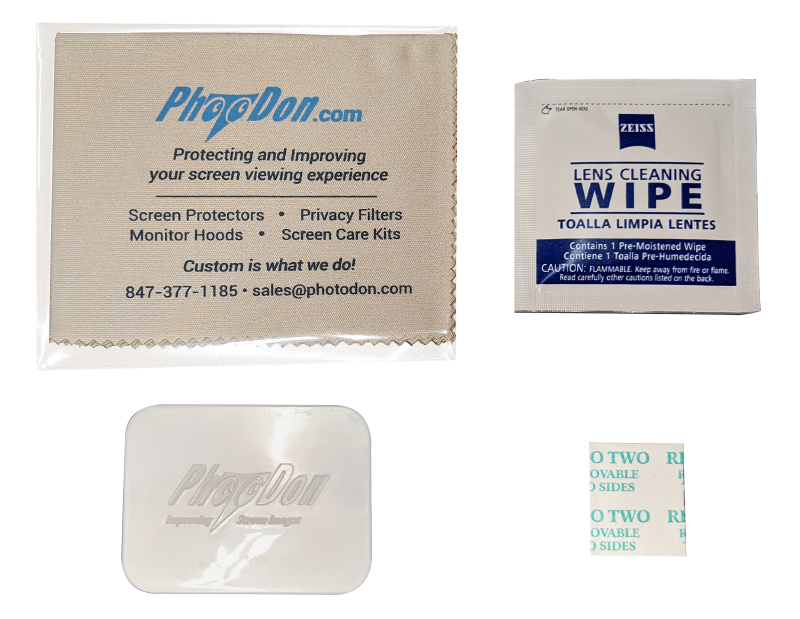 Photodon anti-scratch is fantastic for use on all screens and devices including cellphones, tablets, monitors, TV's, GPS, cameras, and gaming devices. It is also effective for cleaning eyeglasses and even car windows. Our cleaners are alcohol and ammonia free! MX103 Photodon installation kits contain all the supplies necessary to produce a successful and professional-looking film installation. 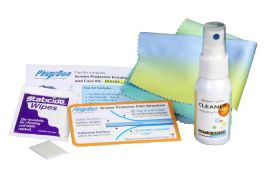 The high quality cleaning solution and microfiber cloths will be useful for keeping your electronic devices clean, well after installation. Included free with all films up to 10 inches.